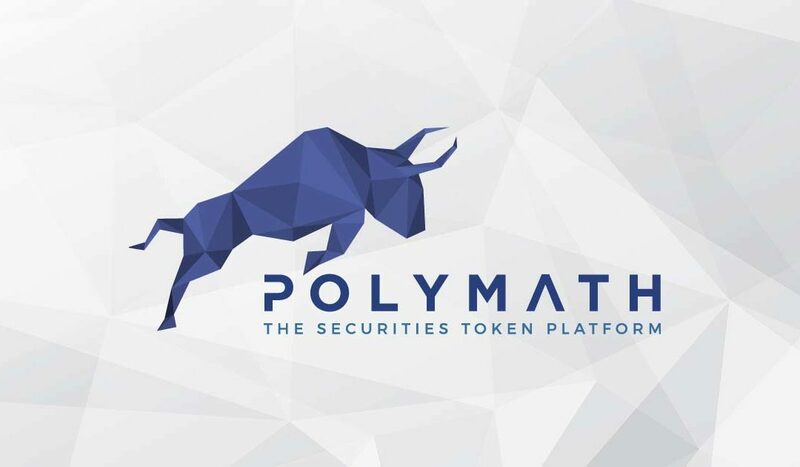 Polymath (POLY) is a platform for security tokens, which in theory allows for company stocks or government bonds to be issued within Polymath’s system. Polymath aims to simplify and globalize the creation, issuance and trading of such assets; essentially doing for existing securities what ICOs did for startups. While the financial industry is experimenting with blockchain technology, Polymath claims that their system is the perfect basis for the future of securities trading. Polymath’s claim is that blockchain integration will allow for faster but simpler trading, reduced costs, and a secure settlement process, resulting in less fraud. Polymath incorporates regulatory requirements and the KYC (Know Your Customer) process at the token level, ensuring that only approved investors may participate. ICOs have demonstrated the potential of cryptocurrency investment but also many of the pitfalls. By ensuring proper regulation, Polymath intends to handle Securities Token Offerings (which they term STOs) in a responsible manner. Mining Algorithm: The token runs on the Ethereum Platform and is not mined. Essentially Polymath allows for the creation, verification, and trading of security tokens. The platform itself can be broken up into four main segments: Protocol, Application, Legal, and Exchange. The Protocol segment runs all the calculations for the system and depends upon smart contracts. It controls user access to securities and regulated the number of tokens they may hold. This segment also maintains a register of all shareholders within the system. The Application segment allows for the creation of the security tokens. It contains a wizard to make this process as painless as possible. The Legal segment contains all relevant compliance documentation. It must be studied to ensure that a security token adheres to all applicable regulations for the intended jurisdiction. Failure to comply with these laws can result in legal action. The Exchange segment is where these security tokens can be traded. Low fees and 24/7 availability are advertised as features, which would make this method superior to traditional stock exchanges, assuming the security level is equivalent or better. Trevor Koverko is Polymath’s Co-founder and CEO. Trevor was an early pioneer within the crypto community. After graduating from Canada’s top business school, Richard Ivey School of Business, he became involved with crypto projects such as Ethereum, Hive, Shapeshift, EOS and Aion. He also participated in blockchain events such as the North American Bitcoin Conference. Koverko can be considered an influential blockchain investor, speaker, and founder. Chris Housser is Polymath’s Co-founder and Chief Operations Officer. His career was focused predominantly on Law. Housser graduated from The University of Western Ontario with a Law Degree and worked at soliciting firm, Bennett Best Burn LLP. However, Housser turned his attention to cryptocurrency in 2017 when he became involved with Polymath. Pablo Ruiz is the VP of Engineering at Polymath and was listed in Argentina’s “Top 20 must-know influencers” by Techfoliance Latam. Ruiz specializes in mentoring, managing and investing in startups around the world, with a special interest in software development. After involvement with Fintech programs such as NXTP Labs, Ruiz started out at Polymath as a senior Solidity developer. Bruce Fenton is one such advisor. Bruce is a board member of The Bitcoin Foundation and a well-known blockchain economic advisor. Erik Voorhees, the CEO and Co-founder of ShapeShift (a simplified cryptocurrency exchange) is also included. Patrick Byrne is the CEO of large online retailer Overstock, which was one of the first major retailers to accept cryptocurrency. Byrne is also the executive chairman of the tZERO project, another player in the security token space. Stan Miroshnik is another experienced advisor. He’s the CEO and Managing director of The Element Group, which deals with cryptocurrency investment. Polymath and its team have a social media presence with official accounts on Facebook, Twitter, YouTube, LinkedIn, Telegram, GitHub, Medium, and Reddit. These all receive weekly or more frequent updates. The Polymath token raised $59 Million in its ICO, which ended early 2018. Part of the capital gained from the token sale was used to develop the platform. POLY token is the internal utility token for Polymath. It is used to control all transactions done within the system. POLY is required to gain access to the system or for the development of custom security tokens (STs). In addition to the platform fee, those creating and issuing security tokens (STs) pay fees to developers, KYC providers and legal professionals to investigate and realize their token. Once approved, investors can purchase the new security tokens in either POLY or ETH and can trade them on in the same manner. The POLY token is also used as an incentive for developers working on the platform. Polymath is early to the nascent security token industry, but there is already some competition to contend with. This includes direct competition from companies such as Ravencoin, Harbor, Securitize, Templum, and Securrency which all deal with the creation of security tokens for companies. Other less direct competition exists in the security token space from projects such as Open Finance Network and Orderbook. One point in its favor is that Polymath has raised more than the competitors in its ICO sale. Polymath aims to compete via strong communication with the public. It has thus far been covered by many well-known financial media outlets, including Bloomberg, The Financial Post, and Forbes. Polymath does not have an official roadmap yet. The company has claimed that it wishes to remain always flexible. This is somewhat reasonable, as the integration of blockchain and traditional securities is still a very new field and highly subject to unpredictable regulatory decisions. However, lack of a roadmap doesn’t equate to a lack of progress. Polymath achieved one of the largest Telegram groups in the world back in January 2018. It has also created security tokens for the following companies: Pegasus Fintech, Minthealth, and Corl Financial Technologies. Polymath has a strong social media presence. As mentioned, Polymath has one of the largest Telegram groups with around 50,000 participants. With such a large following, news is spread quickly and Polymath can readily adapt to their clientele. The securities industry is valued at $10 Trillion. There is huge potential in disrupting such a large industry and Polymath may become the favored option for those seeking to tokenize their securities. Polymath depends on the Ethereum network, which limits its scaling and makes it vulnerable to any disruption of Ethereum’s network. Polymath does not take on the regulatory risks of tokenized securities. Polymath has not released any roadmap yet. While this is so the company can remain flexible for those using the platform this is a bit temperamental. Users of the platform will most likely want to be kept in the loop of how their experience might change in the future. Without a direct plan, Polymath may lose support. Polymath will need to streamline their service as competition creeps up on them. Many of the competing platforms are developing at a rapid pace. Polymath is not alone in its goal to revolutionize securities trading. However, with its strong social media presence, team of experts and successful token sale it does stand a reasonable chance. Securities will eventually migrate to the blockchain and Polymath will be ready and waiting to tokenize them. However, the securities industry is large and very complex. Only time will tell if Polymath can succeed against the many obstacles that await them.